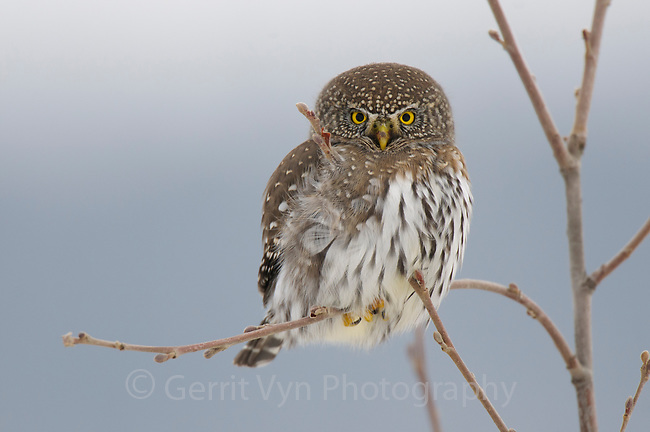 Adult Northern Pygmy-Owl (Glaucidium gnoma) hunting in winter. Okanogan County, Washington. November.